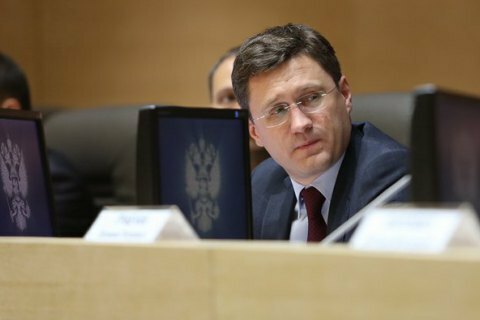 The estimated natural gas price for Ukraine in the second quarter of 2016 is 177 dollars per 1,000 cubic meters and it is comfortable without discounts, Russia’s Energy Minister Aleksandr Novak said on 8 June. No changes can be made in the gas supply contract with Ukraine until 2019 year-end, the minister said. "The most important is Ukraine’s Naftogaz is able to pay," he stated as quoted by TASS. In particular, referring to gas supplies to Ukraine he said that "current prices of Ukraine effective even in the second quarter are much more comfortable than spot and European gas hubs prices." The estimated price for the second quarter is $177, Novak said. The Russian minister said the price is not yet available for the third quarter and it will be calculated. "The price in the second quarter established to date is absolutely comfortable without discounts and fully corresponds to the market situation. The main issue is whether Naftogaz has funds. If funds are available, it means they are ready to buy," Novak said. Earlier this week, Ukraine's Naftogaz offered Gazprom to resume gas supplies to Ukraine provided the price is lower than that of European suppliers. Ukrainian company wants the parties to sign an addendum to the gas contract for the period of the next three quarters. Gazprom have not been supplying gas to Ukraine from November 25, 2015, after Naftogaz said the price of Russian gas was overstated.